Jennifer is the Queen Bee of home organization! I’m amazed at all the tips and tricks she includes in her book. 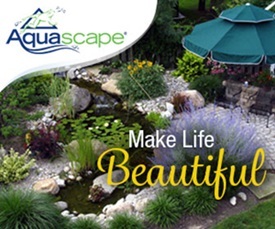 Every room is covered – including the garage and outdoor spaces! 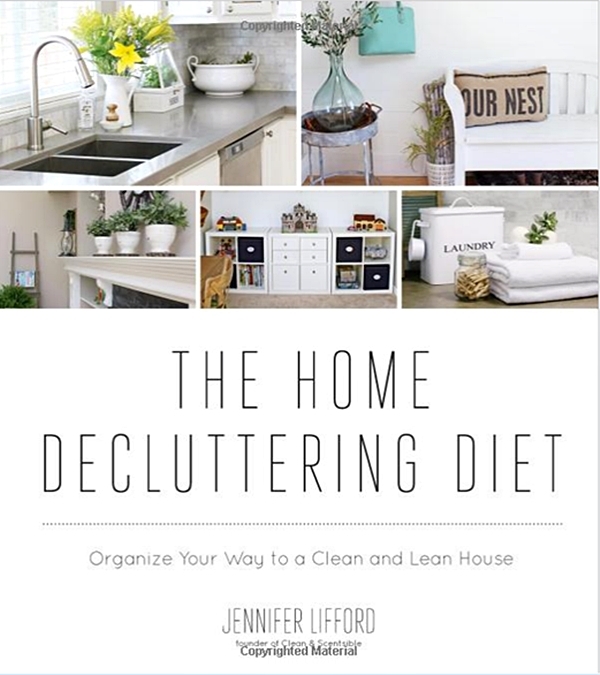 You’ll find pretty images of Jennifer’s beautiful home and projects within the pages of The Home Decluttering Diet. 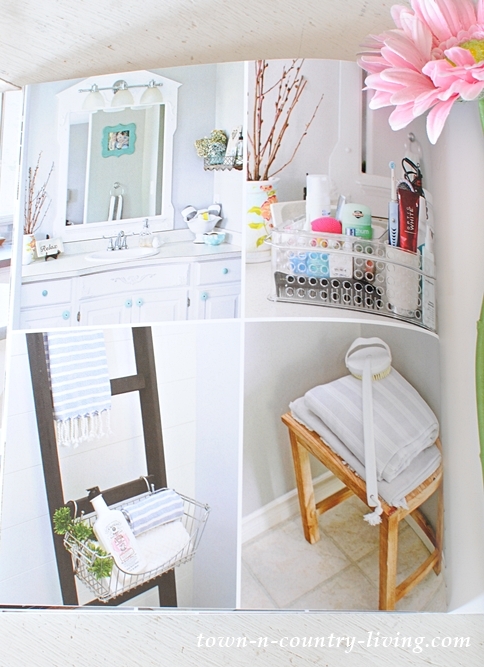 Each chapter has simple step-by-step instructions on how to organize every nook and cranny of your home. Jennifer identifies useful tools to make home maintenance less tedious and time-consuming. 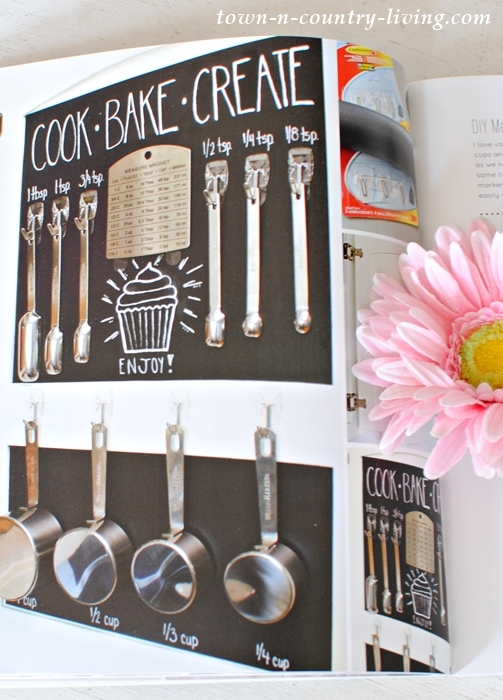 I love the way she organizes her measuring cups and spoons. She’s so talented and I can’t wait to whip my house into shape. 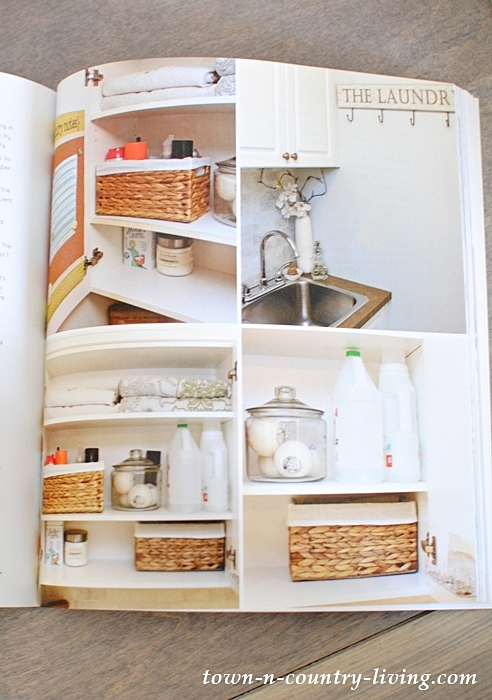 Wouldn’t you love to open up the cabinets and see them beautifully organized like this? My goal is to go through every chapter of The Home Decluttering Diet and transform my house into a lean, mean, organization machine! If you’d like enter to win a free copy of Jennifer’s book, simply leave a comment below saying you want to enter! The winner will be announced next Saturday, April 22nd. And if you can’t wait to see if you’ve won, you can order a copy from Amazon. 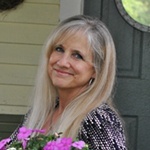 If you’d like to receive home organizing tips on a regular basis, check out Jennifer’s blog at Clean and Scentsible. ONG! I need this book. It looks beautiful too. Please enter me in the giveaway. 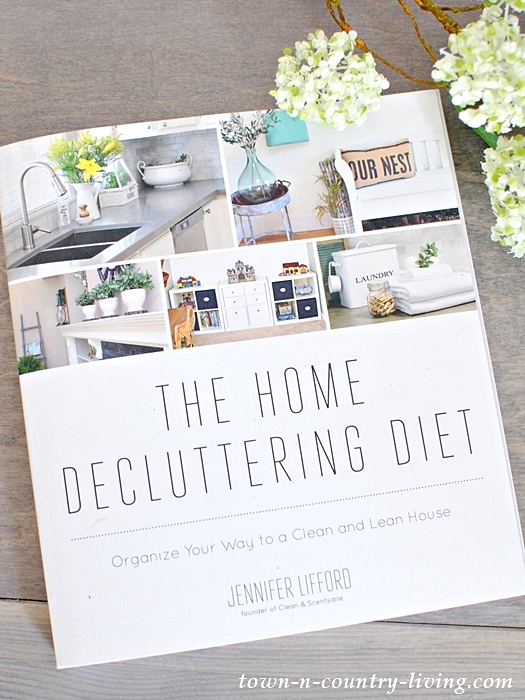 I would love to win this book because I really need to declutter and organize my house! Yes, I want to enter! Please! Organization just makes life easier. I do need this book, need al the help i can get. Yes, I’m a borderline horder and need to get things under control. Please enter me. I would love to win a copy of this book. I am always looking for new ideas to get my house organized. I think I may be beyond help. Although the house is neat you open the closets and cabinet at your own risk. Lovely book! Can’t wait to organize my new home! I would love this book! I could use ideas and tips for organizing my home! Please enter me in “The Home Decluttering Diet” Giveaway. I’m moving soon & desperately need this for my new home. Ty! 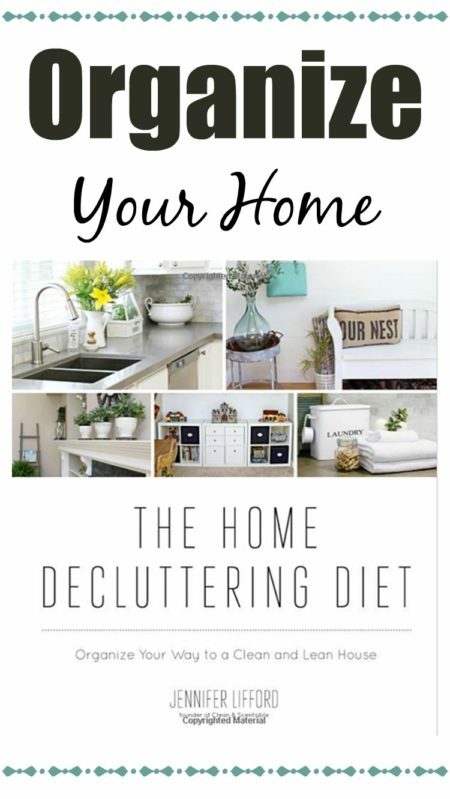 Please enter me in this giveaway, “The Home Decluttering Diet.” I’m moving & downsizing; I desperately need this! Oops sorry about dupe entry! Please delete this. My husband and I along with our two dogs live on a 60′ houseboat year round. Approximately 650 square feet of living, storage and mechanical space so you can imagine how easily it becomes a cluttered mess. This book is exactly what we need to get & keep our home “ship shape”. I would be honored if you would enter my name for a chance to win own this helpful book. Oh my goodness – do I need this book! Thanks for a chance at your great giveaway!!! 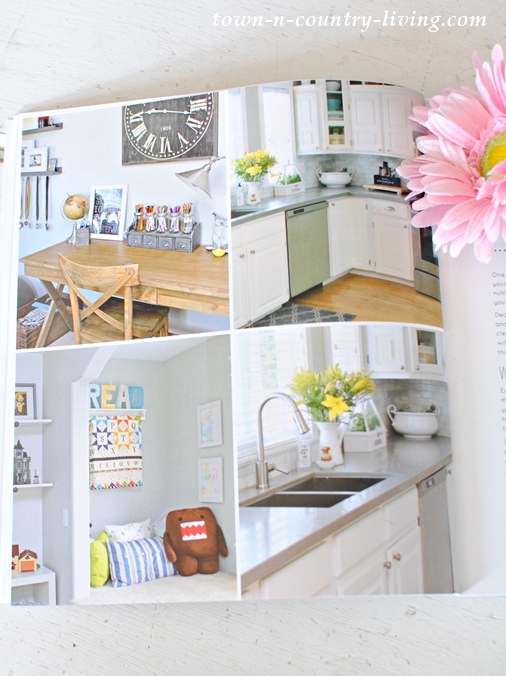 I so need this book….I really need to destuff my house ! This would be a wonderful, must-have book for the home library. Sounds like it is full of great tips and inspiration…sign me up for the giveaway. Thanks for offering this book! Just in time for spring cleaning in New England! Thanks for offering this book. Please enter me in the book giveaway. I have already gotten a few nifty ideas from this article’s pictures. Hope to see more if I win the book. Thank you. I need this book. Retirement is right around the corner! We will have the time to tackle this and I could use all the help I can get! What a great looking book. I would love to be included. I would love to receive a copy of the book. I have recently put my priorities back on order and realized that I have sadly neglected my house and there is too much “stuff” all over the house! It would nice to have a “real” book again about anything home! Looks wonderful! Would love to win this! I really need it! I am starting to weed things out and this book looks like it is just the thing I need. I could really use this book to help me with my Spring cleaning. Oh my goodness! I SO need this book! I am overwhelmed with all the stuff and clutter, and I am determined to purge and get back to a clean, tidy home! I absolutely need this book!!! ME PICK ME…………….. I need all the help I can get!!!!!!!!!!!!! My Spring decluttering could certainly use a little tweeking! Decluttering is an ongoing process and I never seem to get to the end of it, so I would love to win this book, it seems perfectly inspiring! What a fun book! I would love to win this book and start organizing my house! 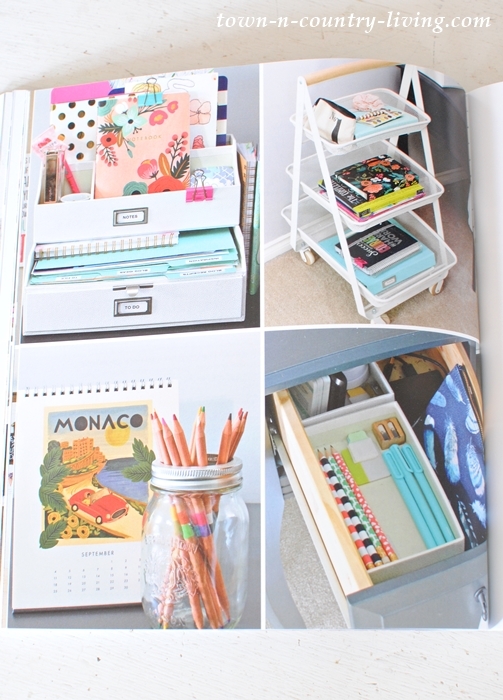 Love organizing ideas – so this pretty new book would be so fun to win. Thanks for sharing! Oh my goodness I would SO love to win a copy of this book! Just what I need 🙂 Thanks for the opportunity! Why, of course I would like this book! Please enter me! This looks like a wonderful book that I would absolutely love to read! I really need help in this area! Please enter me. Thank you for your blog. I could use this book! Thanks for the chance to win. I definitely need this “diet”!! Can she come with the book to help me do it!! ???? I would love a copy of The Home Decluttering Diet, it would be greatly appreciated and a huge blessing. How do I get a free copy of this book. It will be so helpful for me to organize around the house. Having my house neat and organized makes me feel better than a having a messy home. 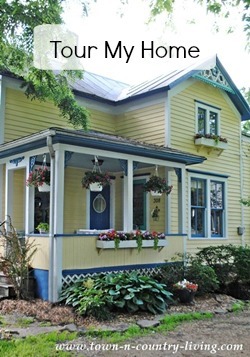 I am sick of the clutter in my house – maybe this book would get me organized and inspired. Please enter me in the book give away. Thank you so much! I get so much enjoyment out of your blog. I would love to win this. It looks like a good book. I definitely need this book, rather my house needs it. Please enter me. Would LOVE this book! Obsessed with this type of book! Trying to find THE ONE that works! Please enter me! I would love to have a beautiful, organized home like this. Please enter me! I would love to have this book. Please enter me in the giveaway. Could really use “The Decluttering Diet” book! 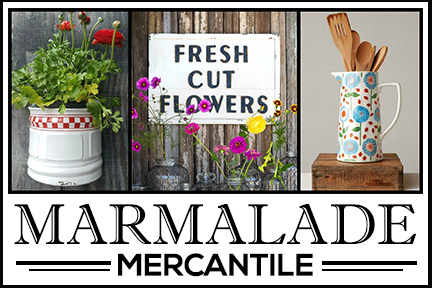 Look forward to applying ideas to my home!! Would love the book, but I am from Eastern Canada.